Investment visa programs have been adopted worldwide. National governments have found them beneficial to their economies, and those who wish to immigrate and have the means to participate have flocked to these types of programs. This win-win situation has made this once unknown program undergo an unforeseen spike in popularity. When considering investment immigration, take a look at the different programs offered by different countries. You will find that they vary greatly with regards to timelines, regulations and benefits. 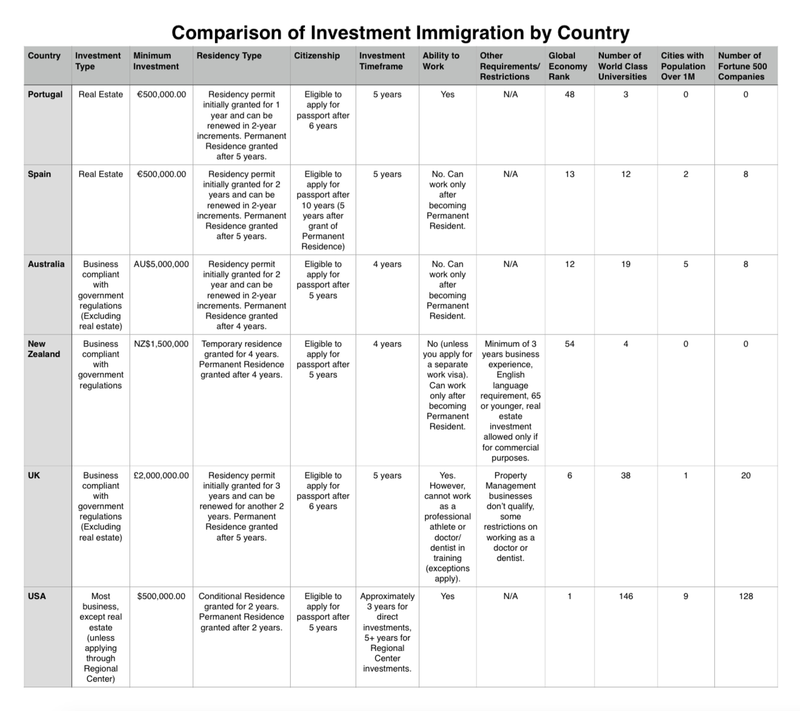 Below, we have compiled a chart with information regarding the top countries offering immigration through investment. Please consult it to learn more about which country is right for you. Click on the chart to make it larger. If you have questions, please don't hesitate to contact us at 415-221-2345. The investment immigration lawyer here at Law Offices of Vaughan de Kirby want to help you find the immigration option that is best for you.